Built-in handles and lightweight materials allow for easy portability. Remote LCD display can be wall mounted or placed on a surface of your choice. 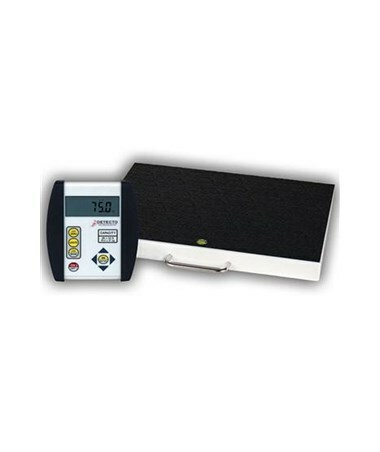 The GP-400-750 is a handy Portable Digital Floor Scale that you will come to rely on for all your weighing needs. Built-in handles and lightweight materials make this scale completely portable. The large non-skid platform will provide a secure and comfortable weighing experience. The remote LCD display can conveniently be wall mounted or placed on a surface of your choice. 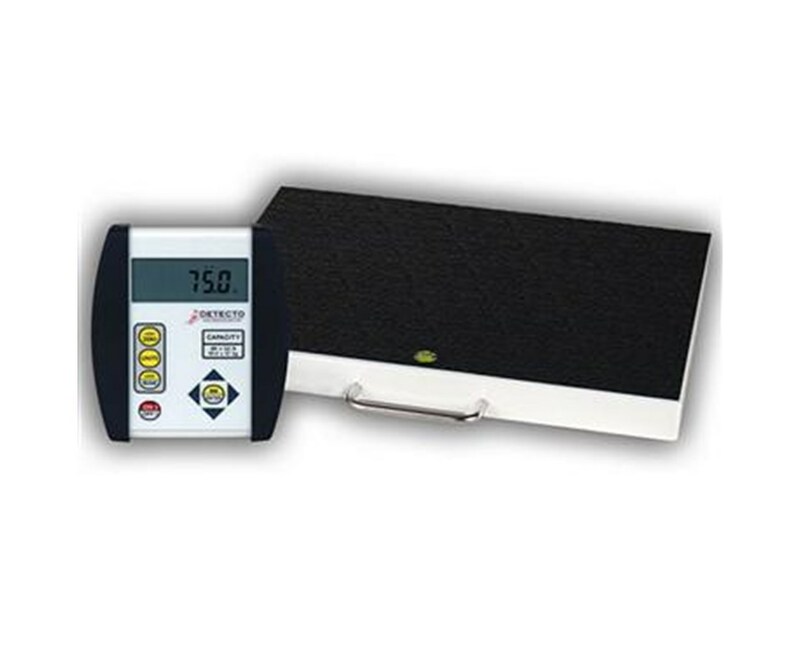 This scale is equipped with the new Detecto 750 LCD Display. It is the classic weighing display for many varieties of scales. It features an easy to use keypad, and large clear numbers for enhanced viewing. This scale is EMR compatible and can calculate BMI with the click of a button. Other functions included with this scale are lb/kg conversion, on/zero/off, and weight/lock release. This scale is powered with 6 AA batteries (not included) or an optional 120V adapter. The 1 year warranty ensures that any difficulties you may experience with this scale will be quickly and efficiently resolved. **Please view added accessories by clicking on the Related Products tab above. Platform 18" x 14" x 2"